We finally have a snow day with snow! I love snow and wish we had more! But not more often. Just 1-3 times a year is fine with me. Needless to say the grocery store was packed yesterday. People go crazy over snow here. one. Champs! Can't be caught without it. Red wine for Dave. two. OJ. 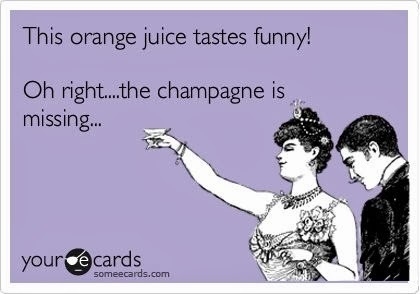 For mimosas of course. three. Cinnamon rolls- for the perfect snow day breakfast. four. 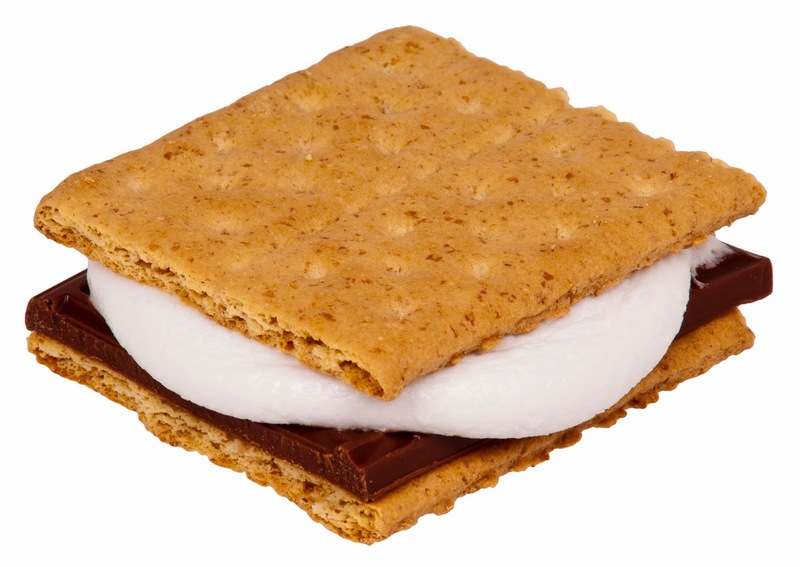 Graham crackers, Hershey bar, marshmellows. I love s'mores! For some reason I don't like to eat healthy when it snows. Or eat anything cold....except my mimosas. And now I'm off to play in the snow with Poppy! Happy snow day y'all!